The best things in life are free. Or so The Beatles sang, in Money. Here is a list of ten free Facebook apps that I recommend for ecommerce businesses. 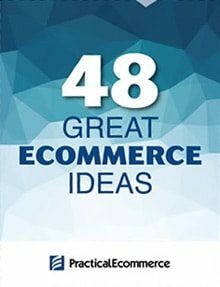 I’ve divided them into four categories: Landing Page Creation, Email Marketing, Facebook Shopping Carts, and Other. 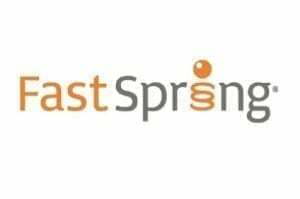 Landing page creation in the past has been an arduous task that required the Fan page owner to know a variety of coding languages, such as FBML, HTML, and CSS. Now, there is a new class of apps that require no such knowledge. Although a number of the more popular apps — see “Four Apps to Create Facebook Welcome Pages” — have a cost associated with them, those listed here are free, at least at the basic level. PageLever Facebook landing page creation tool. 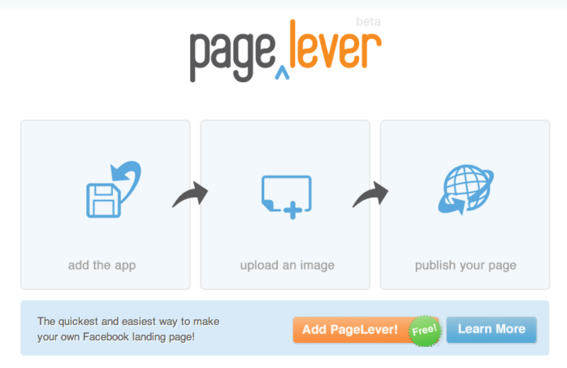 PageLever provides a simple way for Fan page owners to create a landing page. To set up the app, all that is necessary is a single, branded image. 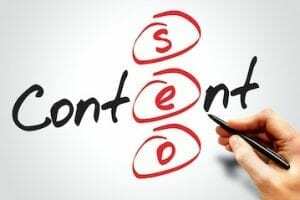 The caliber of the page is largely dependent on the quality of the graphic image. Therefore, it behooves the page owner to have an attractive image design. An upgraded PageLever version, available for an annual fee of $20, includes the ability to add a “Fan reveal,” so that the custom tab has one message for non-Fans and another for Fans. When a visitor clicks the “Like” button, the content automatically changes. Welcome Tab for Pages editing interface. 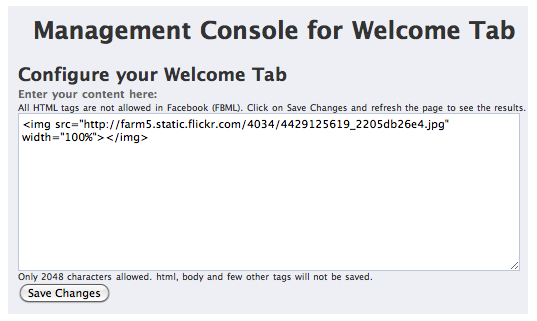 Welcome Tab for Pages functions much like staticFBML in that it provides a form field where HTML code is deposited. In order to avoid having to write such code, you could create your page using Tabfusion’s TabMaker app, then copy and paste the code into this one. Although it provides analytics showing daily visits, my preference is to use Facebook’s own staticFBML instead and rely on Facebook Insights, an analytics dashboard associated with Pages, to track such activity. One drawback to using this app is that it attempts to force the user to upgrade to a premium edition. Of the three listed here, this app is my least favorite. MailChimp Facebook email subscription app. 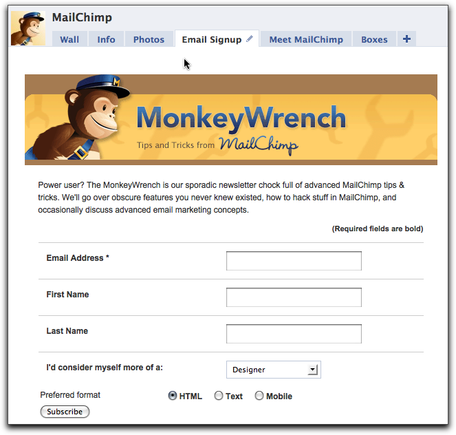 MailChimp has an app available for its users that creates a mailing list sign-up form and tab on the Fan page. It also allows list administrators to auto-post campaigns to the Wall once they are sent. When users sign-up on this app, it automatically adds them to the list the administrator has designated. After the sign up process, subscribers receive a confirmation email from MailChimp to confirm their intentions. 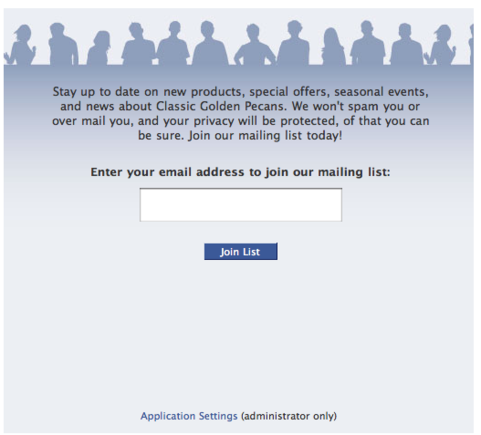 Having your subscribe form connected to your Fan page is especially useful because it keeps fans from having to leave Facebook, or even your page, to sign up for the list. Constant Contact Join My Mailing List app. Constant Contact offers a mailing list subscription app of its own. Called Join My Mailing List, the app allows Fans to add themselves to Constant Contact-managed mailing lists. Fans who sign up using this app simply need their email addresses in order to complete the process. There is an optional “details” section where they can provide more information. After Fans sign up, they will receive a confirmation email from Constant Contact. Example of Payvment shopping cart. 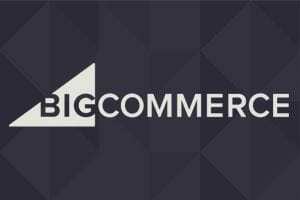 We discussed Payvment in-depth several months ago, in “Social Commerce Spotlight: Payvment, a Facebook Storefront Provider.” Payvment makes this list because, unlike other Facebook shopping carts, it is free to use. 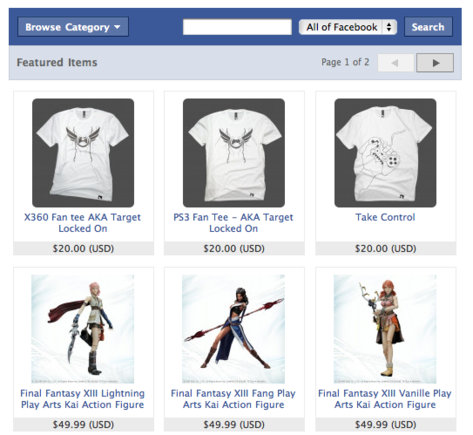 Fans can shop and make purchases from a merchant’s Facebook store without the need to leave Facebook. 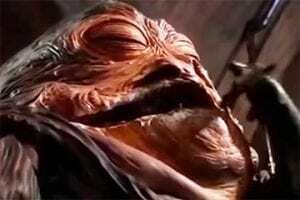 Payments are routed through PayPal. I have used Payvment with one client site and found setup to be relatively painless. 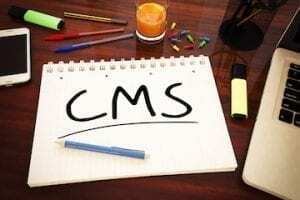 However, the cart leaves something to be desired if you want to give users a highly customized appearance. But, then again, most of the Facebook shopping carts with which I am familiar allow only minimal customization. 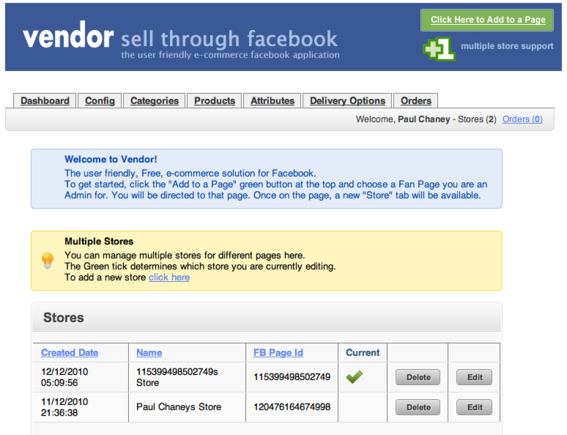 VendorShop shopping cart admin interface. VendorShop is another shopping cart that processes payment using PayPal. One advantage to this app is that you can manage multiple stores through a single dashboard, which is certainly a time-saver. Example of Twitter for Pages app by Involver. 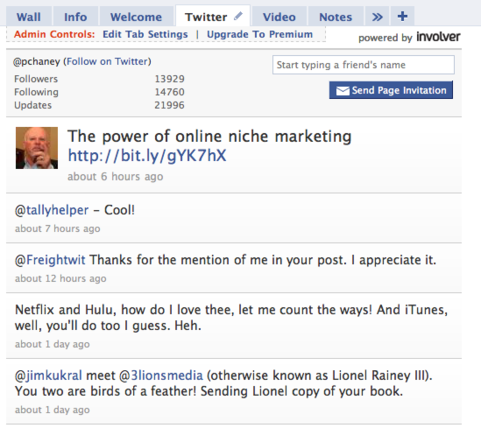 One app I often use when creating pages is “Twitter for Pages,” by popular app-maker Involver. This app enables you to integrate your Twitter feed, on its own tab, directly to Facebook. It is a way of linking Twitter and Facebook and communicate more effectively with both your Twitter followers and Facebook Fans. Involver makes some of the best apps on the market and a number of Involver apps are free, though use is limited to two from a select list. Nonetheless, I like them because they are simple to install and work extremely well, something that cannot be said for a many free apps. One of the benefits to using this app is that it allows Facebook Fans to “follow” your Twitter channel directly within the application. Fans can invite their friends to view their own Twitter for Pages, as well. Example of Networked Blogs app. 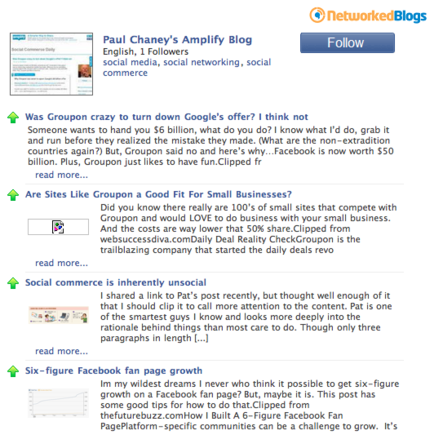 NetworkedBlogs enables page owners to import their blogs into the Fan page via an RSS feed. Each time a new post is added, a notice is sent to the Wall and to Fan’s news feeds. 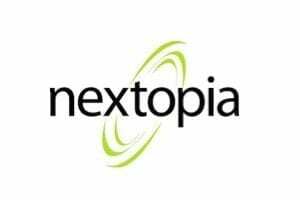 NetworkedBlogs is also a directory of some 500,000 blogs, organized by topic or geographical location. When you install the app, your blog is automatically added to the directory. Livestream allows live streaming video. 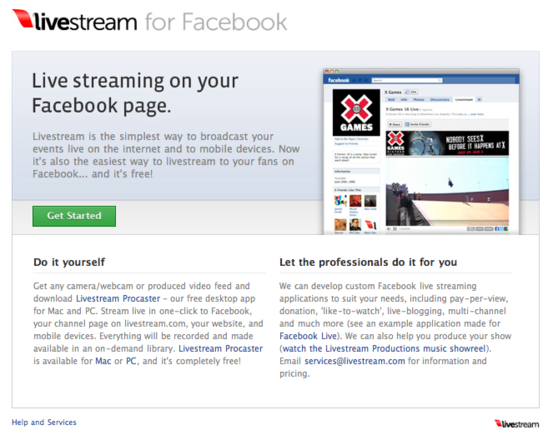 Livestream is a new Facebook app. It allows you to stream video live on the Internet, including mobile devices. It requires that you have a Livestream channel and download another free application called Procaster, software that facilitates the stream. Once that’s done, implementation on Facebook is a one-click process. There are, of course, many more useful free apps than I have listed here. 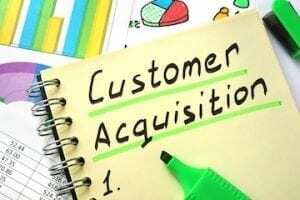 One place to find both free and paid apps is Appbistro, a marketplace of Facebook business applications. The Beatles’ tune Money may begin by espousing the notion that the best things in life are free. But it ends with the lyric, “Give me money, that’s what I want.” The same holds true for ecommerce merchants. 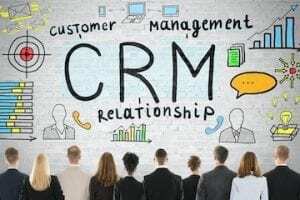 As with any form of marketing, these free apps are only ultimately useful if they can help turn your Facebook Fans into paying customers.